Kim Priez, Tico Soto, Thu Tran and Maria Manzella attended the 2015 NTA Travel Exchange. NTA is a trade organization of thousands of tourism professionals involved in the growth and development of the packaged travel industry. As New Orleans was the host city for the 2015 travel exchange, the NOCVB sponsored the Gala Opening Night Event at Mardi Gras World for 1,500 attendees. The team met with more than 60 domestic & international tour operators, travel agents, and media. The tourism department was honored by the Receptive Services Association of America with the Stanley Award for Excellence in Sales & Marketing in the non-hotel category. 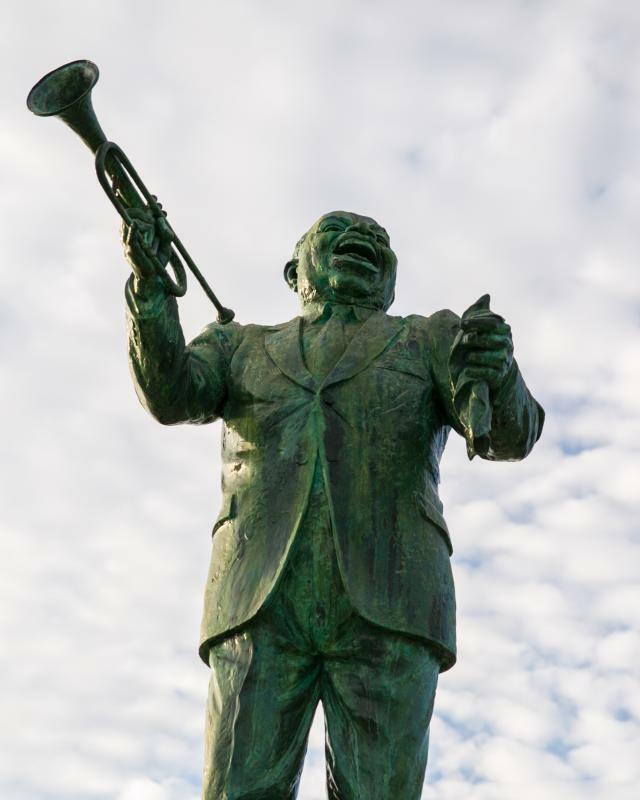 This is the second time in four years that New Orleans was chosen over all other DMOs and attractions in the country. The members of this association are the large tour operators in the United States concentrating on international inbound business. It is quite an honor for the city and the CVB. On March 18th and 19th, our team initiated our NOLA NOW leadership roadshow to impact the vibrant capability of our industry to host meetings and conventions a decade after Hurricane Katrina. Without reference to the event itself, we shared messaging from GNO Inc, MCCNO, CVB leadership, as well as keynote Seth Mattison, CEO of Future Sight Laboratories. Events in Washington, D.C. and Alexandria, VA were well attended. Our special thanks to Tommy Fonseca of GNO Inc, Bob Johnson, Melvin Rodrigue and Tim Hemphill of MCCNO for participating as part of our presenting leadership. Additional NOLA NOW events will be held in Chicago in May, and we are exploring the possibility of bringing one to New Orleans this fall for markets where we do not have high density of clientele to justify the expense of a full event. French journalist Rebecca Levin visited New Orleans over Mardi Gras weekend to capture footage and interview locals for a piece on TF1, the #1 national TV channel in France, with five million viewers. The CVB PR team partnered with the Sheraton New Orleans to bring in three prominent journalists to experience Mardi Gras and ride in the Orpheus parade, a once in a lifetime experience. The journalists included Ramsey Qubein, a great freelance writer who writes for BBC America, Yahoo! Travel, NorthStar Media (travel agent pubs), newspapers, and much more; Ella Buchannan, a prominent UK freelance writer, who was working on stories in the Daily Star plus online pieces on the Daily Star and Express; and Sandra Ramani, great travel freelance writer who has written for Travel + Leisure, Robb Report, Departures, New York Magazine and NYMag.com, Elite Traveler, Every Day with Rachel Ray, Redbook, Premier Traveler, Bridal Guide, Destination Weddings & Honeymoons, Modern Luxury (multiple markets), Fodors.com, New York Daily News and much more. They had an amazing experience and we expect to see great coverage on New Orleans in the near future. Director of Marketing and Communications Lauren Cason was in New York in late February, entertaining media at the New Orleans Jazz Orchestra’s performance at Jazz at Lincoln Center. Media who attended included Fodor’s, Forbes and a few great freelancers who contribute to great publications such as The New York Times, Travel + Leisure, The Wall Street Journal, Departures, etc. The journalists loved the performance and getting a taste of New Orleans Jazz in New York. They were keen to hear about the opening of the New Orleans Jazz Market. Immediate coverage resulted with a great story by Shivani Vora on The New York Times’ In Transit Blog and in the travel section of print edition of The New York Times on March 15th. While in New York, Lauren also met with Travel + Leisure, Vanity Fair, National Geographic Traveler’s Urban Insider, Meetings & Conventions, Skift and wonderful freelance writers who contribute to USA Today, CNN, Yahoo! Travel, Robb Report, American Way, Elle, Vogue, Harper’s Bazaar and many more. There was great interest in New Orleans. Travel + Leisure is planning a feature for the July issue and our team is working with their editors on this story. The first Business After Hours for 2015 was held on March 4 at the Peoples Health New Orleans Jazz Market. Irvin Mayfield, Ronald Markham and their team partnered with several local members; Joel Catering, Superior Seafood, Café Reconcile and Carrollton Market to provide great food. The Bolden Bar supplied signature cocktails and the Ashlin Parker Quarter entertained the more than 225 guests.